Like the features. Mike is clear sounding for calls. No bass in speakers. Tin sounding. Can't hear music or calls at high speed in my lanespliter helmet. TLDR: I would advise another product. Threw a Graves exhaust on my R1 and headphones weren't enough to protect my ears anymore and had to switch to ear plugs. Only way I could listen to music would be through a in-helmet speaker system. Narrowed my pick between the SMH10r and the 10r. Decided to get the 10r because it has "upgraded" speakers. I wasn't expecting much and yet it was still pretty disappointing.. I can hardly make out the music unless I turn the volume to the max and when I do that everything gets distorted by the speakers trying to produce bass. I turned down the EQ settings on my phone so that the bass was at minimum and vocals were at the highest, no help. There's an audio boost setting in the Sena mobile app but again it was just more distorted bass so I disabled it. As a last ditch effort I tried to update the firmware after reading on Reddit one user had better luck with volume control. WILL NOT UPDATE. Watched multiple Youtube videos thinking it was me but the Sena app on my computer keeps telling me it won't connect to the server to download the new update. No one else on Youtube had that problem. Could not find a solution. Going onto my phone to try and talk to live service also wouldn't work. Some other honorable mentions would be that the speakers did not fit into the molding of my RF1200 so they awkwardly protrude. I refuse to cut into my helmet or snip into the speakers. The instructions are a joke as well. I threw them away and just pieced it together by looking at it. I'm not saying all this vindictively just more as a buyer beware. For the amount of money it's been disappointing. Hopefully your mileage varies for the better. I've used the Sena SMH-5, as well as the Cardo Packtalk Slim, but I feel likethe Sena 10R really strikes the proper balance between price, battery life, performance, sound quality, and aesthetics. The 10R speakers sound great, the size of the unit is just about perfect, and the tactile buttons are just right. Improvements? Well, installation on my HJC RPHA 90 wasn't exactly straight-forward, but that may be more about the helmet. Also, I personally wish that the PAUSE MUSIC button was a short push on the middle button, rather than waiting a second. That's probably just me, though. If you're looking for the best comm unit all-around, I'd look no further than the Sena 10R. It's great. After one year of use, I can safely say this product has worked perfectly in all weather conditions. Very well built, it holds a charge for a long time, and the intercom range and function is outstanding. Well worth the money! I’ve had the Sena SMH10R for almost three years now and I still love it. I was really not wanting to invest the extra money for the 10R. I didn’t see paying an extra hundred bucks for an extend battery life of only two more hours. I seldom stay on the bike for over 8 hours. Those few times that I have, I have used the provided charging cord to charge on the road. I’ve had the unit go dead due to me failing to recharge it the night prior, so being able to listen as it charges is a great option. I wear a Nolan Modular helmet, so the boom-mike mounting option worked best for me. I also wear ear plugs for wind noise, so I usually have the Sena turned up as high as it will go for best sound quality. The sound is clear and easy to hear. Without the ear plugs the ear phones make the music sound too high pitched. The SMH10R is quick to link to my phone and I can use voice commands with my Google phone. I still have it set up to do quick calls (this option is a simple touch of the middle button to call up to three numbers that you preprogram into the unit). I have 911 and my wife’s number preprogramed. This is just in case of an emergency if my phone and I get separated. The unit will still stay connected via blue tooth to my phone for up to 40-50 feet. I recently purchased a second unit for my wife. Just elevating my voice will activate the voice link connection, so that we can talk to one another button free. After 20 seconds of silence the unit switches back to my phone. She and I have different taste in music, so hers returns to her phone/music when the link ends. Both she and I use Pandora, which we seldom loose connection with. I have had to set the voice link sensitivity level to its lowest setting due to other bikers I ride. Their loud exhausts noise would cause the unit’s voice link to attempt to establish a connection with my wife’s Sena without me asking. The adjustment takes a little playing around with, but I was able to eliminate the issue. Also, the mike quality is great, most people think I’m calling from home. I really don’t have any real complaints about the SMH10R. It would be nice if the speakers were a bit better quality, but overall they work fine. I don’t use the rider to rider option, so I can’t really give a review of that option. I would, however, defiantly recommend the SMH10R to a friend. I've owned this unit for a couple of years, and I enjoyed it for the most part. But I have to give it only 3 stars because the menu system is more confusing than it needs to be, and battery life is no where near advertised. My unit, with only using Bluetooth, has never lasted more than 4-5 hours. I need to recharge the unit by lunch time, and even then, It never makes the trip home. I need much better battery life. The menus also use too many long presses...this is annoying. The install wasn't too hard, but the wires are very long and they don't include anything to help manage the wires and secure them to the inside liner of the helmet. I am giving it 2 stars because the remote came defective right out of the box. I had a ride 2 weeks after and wanted this remote. I contacted Sena who promptly responded in troubleshooting. But days n days went by after they determined it needed to be replaced and I haven't heard a word. I went on the ride without the remote.. The unit itself works great when paired with other Senas, but a few had packtalk and could barely hear them. The intercom worked with even in the curvy roads of the Dragon. I am just really disappointed in the remote not working and the lack of attention to get it replaced. After many years of using Scala I switch to the Sena unit, big mistake! My wife and I use the units on a daily basis to communicate between our 2 motorcycles. The units intercom drops out every 1/2 to 1 hour and the only way to reconnect is by turning the units off and back on again. If the intercom is being used when a mapping system turn by turn instruction is being given the intercom will drop out, once again the only way to reinstate the intercom is to turn the unit off and back on again. This is frustrating when you have to do this up to 20 times per day. If you want an intercom unit which will perform as advertised buy a Scala, after waisting my money I'm now going to have to invest in 2 new Scala units. No one can tell I am riding and I can hear people perfectly with earplugs in. You will not be disappointed. My wife has the circular one and they pair up when she rides with me. Must have for any daily riders out there. This head set is easy to install, this is the second one I have purchased. I put one in my Nolan full face & my retro 3/4, and it's easy to use. I'm not very tech savvy but this has simple easy functions that anyone can learn. I love that I can plug my phone into my bike and drop it into a saddle bag and operate it from the headset. I got a flat tire and needed to call assistance. The roadside was too loud to use my phone as a stand alone, but worked great when I used it through my helmet. Great reviews, low profile unit with external controls. Was recommended by sales person of Revzilla, and we are loving it! It works better then the chatterbox that we owned before. Slim form factor, good claimed connectivity and features, long claimed battery life. Wanted something lower profile and more water resistant than the other models offered by Sena. I want Bluetooth 4.1 in a slim form factor! Great product. Very happy with it. Easy installation and user friendly interface. Flush mount, battery goes in the back. To listen to music while being able to take phone calls when needed. Recommended by another rider for our upcoming trip. Super low profile, attachment is simple and straightforward and uses double-sided tape. Quality is fairly low, and it isn't the easiest to use nor the most feature packed but it's the only thing that'll attach successfully to an Airframe Pro due to the shape of the lower lip. There's better units out there, if your helmet is more conventionally shaped. I read all the reviews and this had the features I wanted. talk while I am riding and listen to radio. Just FN amazing product when combined with the handle bar remote!! quality audio and finish! Looking for a low profile blue tooth head set, love the way this fits into my Shark Spartan helmet. Remote bundle was attractive deal. Was considering 10S and 10R. My son is recently divorced. In the spring he is getting a motorcycle his wife wouldn't let him have. He asked for this for his 32nd birthday. I'm a good Momma, that's why I chose to buy this for him. Your reviews seemed to indicate this was the most "flush" model and with the loudest speakers. I ride with ear plugs so need some horsepower in speakers. This is an upgrade for the SMH10R I currently own. Good reviews from varies sources. Best mounting option for my Kabuto Ibuki modular helmet. Built in FM feature. Good sound quality. So I talk and listen to the radio while I ride. I'm quickly becoming moto-obsessed and racking up miles like it is my job, why wouldn't I add bluetooth? GPS from my iPhone is what I am really looking for, although communicating with riding buddies sounds cool, too. I suppose taking a phone call would be ok, as long as I'm not having too much fun riding. Will I be able to talk to someone over the intercom and listen to music at the same time ? BEST ANSWER: Difficult to answer but yes, it happens. If I use my Samsung phone and use Spotify, the intercom cuts off the music and then it comes back after a few seconds of silence. If I use my Samsung phone and PowerAmp or Google Music, it ducks the music and we both talk though PowerAmp works better (has it's own settings for this) Have not tried Pandora but I'm going to assume it cuts out. Have not tried an iPhone. Will it fit a Shark Evoline 3 Series modular helmet? Yes. I have the older unit and upgrading. is there any other option to buy this without the handle bar remote? I am guessing it will be cheaper with out it as the handle bar remote costs $100 if bought seperate. Do you have a duel pack for this model? With or without the remote. Will it connect to the Scala Rider Q3? BEST ANSWER: It will connect to a Q3. However, it is not very easy to do so. 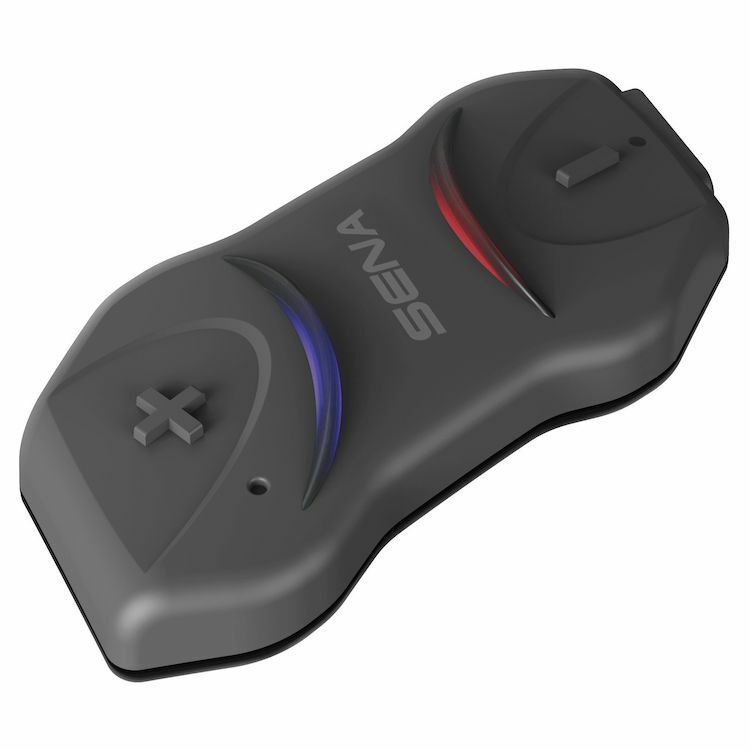 Is this Sena 10R the upgraded version (next generation) of the Sena SMH10R?...with handlebar remote included? BEST ANSWER: Yes, the 10R is an upgraded SMH10R however it has Bluetooth 4.1 and FM radio in addition to including the handlebar remote. 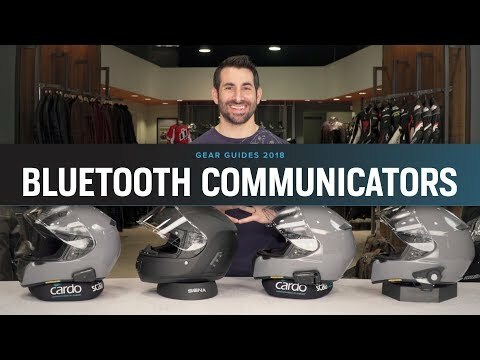 Not quite as advanced as the 20S, but the best option for a slim Bluetooth intercom that can be mounted to virtually any helmet. But they took away the ability to use an earphone adapter. Just saying. Also the speaker isn't noticeably better. You can buy this without the remote. Has anyone installed this on a HJC FG-17 helmet? BEST ANSWER: I installed it in an HJC CS-R2. Fit like a glove, no issues with fitment. Would this fit an old Shoei RF1000?? BEST ANSWER: Should fit any helmet though the newer helmets are designed with recesses built into the shell to house the speakers more easily. For the old Shoei you'll have to remove the ear pad entirely to fit in the speaker which, depending on how big your ear is, may mean your ear is pressed right onto the speaker. Will this system fit a Shoei RF1200? BEST ANSWER: Fits perfectly! If you pull out all the padding (super easy) you can see the RF-1200 has recesses that just about fit the large speaker. Some minor cutting of the plastic shell allows the cable to ease out of the designed recess in the helmet. Removing the ear pad foam form the fabric cover means you can still use the fabric to cover your speaker and make everything invisible inside the helmet. The end result is a completely transparent installation looking very professional and the only way you would know the helmet has this setup is the control on the side and battery on the back. How do do you operate the FM radio capability? Is there an install video available yet? Will this an AGV K3 SV? BEST ANSWER: once the headset is on, to turn on the fm radio hit the - button for a second. I mounted mine to my helmet (bell vortex) with velcro. Mounting it that way, it should fit on any helmet. All Senas can talk to each other right? 10R can walkie talkie to SMH10R correct?